Flat For Sale in Uckfield for £125,000. 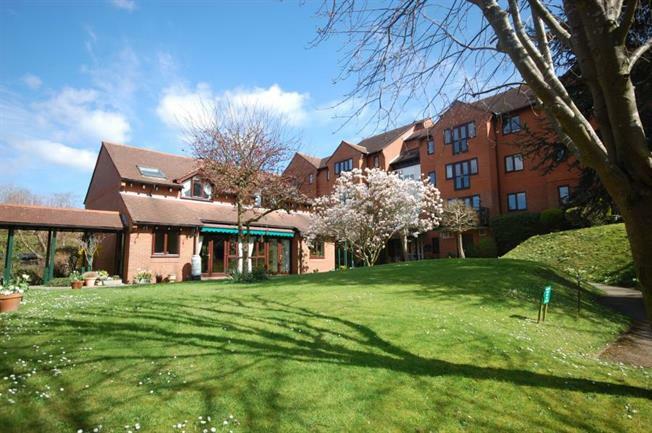 A spacious one bedroom retirement apartment on the top floor. Shaftesbury Court is purpose built with a lift serving all floors. Situated within this quiet developemnt close to Uckfield town centre offered with no onward chain. The property is offered for sale in excellent order benefits from a lounge/dining room with views over the gardens to the west and open to the refitted kitchen, a double bedroom with cupboards and bathroom. Externally the property offers lovely communal gardens with lots of seating areas and parking, also offering a communal laundry facility, lounge and guest bedroom suite. An early viewing is highly recommended. The bus stop outside give easy access to the town centre with its excellent range of shopping, cinema and main line station. The leisure centre is close by with swimming pool. ENTRANCE HALL: including airing cupboard with hot water tank, shelving, electricity fuse boxes, full height broom cupboard with some shelving, smoke detector, wall light, recently fitted carpet and inland door mat. KITCHEN: Fitted with a full range of wall and base units, ample work surfaces with tiled splash backs, inset stainless steel sink and drainer, electric oven and hob with extractor over, fridge/freezer (full height), ceiling strip light and recently replaced flooring. SPACIOUS DOUBLE BEDROOM: overlooking gardens, fitted full width wardrobe with: hanging spaces; drawers; open storage; and shelves, radiator, t.v. point, wall lights and carpet. BATHROOM: including paned bath with tiled surround, wall mounted hand grips and electric shower over, low level w.c., wash hand basin set in vanity unit with cupboard under and large mirror over, wall mounted mirror fronted medicine cabinet, wall light, towel rail and recently replaced flooring. The communal gardens are very well kept with sitting areas over looking the pond at the rear. There is ample parking and a residence lounge with many activies organised by the manager. Comunal laundary within the block.